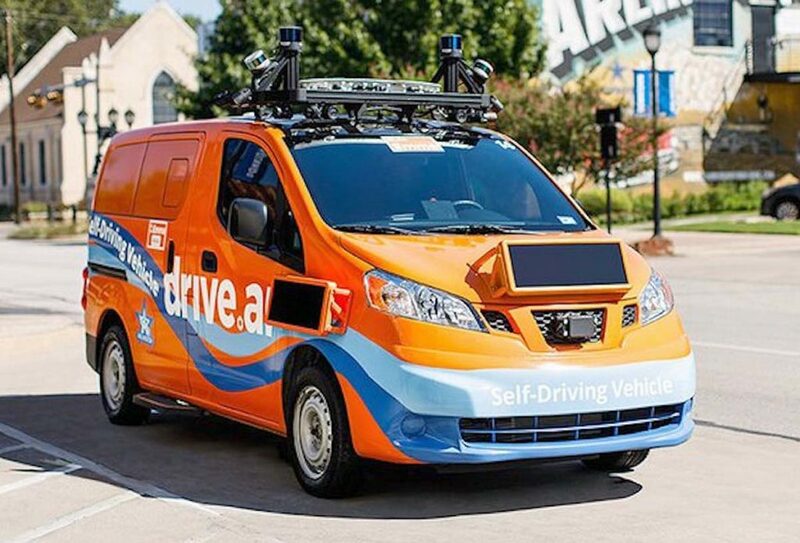 As its contract with Frisco, Tex., comes to an end, Silicon Valley self-driving startup Drive.ai is moving into nearby Arlington to expand its efforts across a more complex driving grounds, pushing the capability of its autonomous technology. “We’ve decided to go big in Arlington,” CEO Bijit Halder told industry watchdog Automotive News. Four autonomous shuttles from the Frisco project will join three already in Arlington and begin running expanded routes connecting an office complex, the city convention center, Dallas Cowboys stadium, Texas Rangers ballpark and the University of Texas at Arlington. The company said that in Frisco, 20 percent of riders on its limited single route used the ride-hailing service more than once a week.